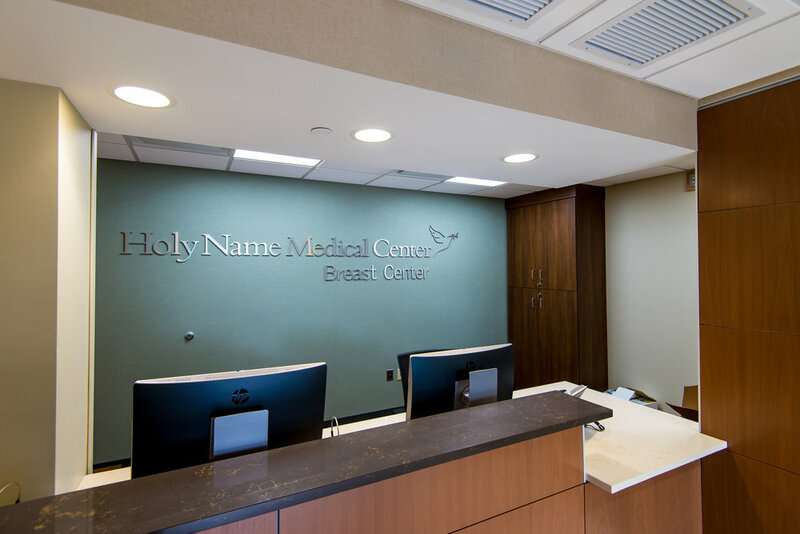 By reducing stress and anxiety, Holy Name Medical Center’s Breast Center improves the quality of care and patient satisfaction. 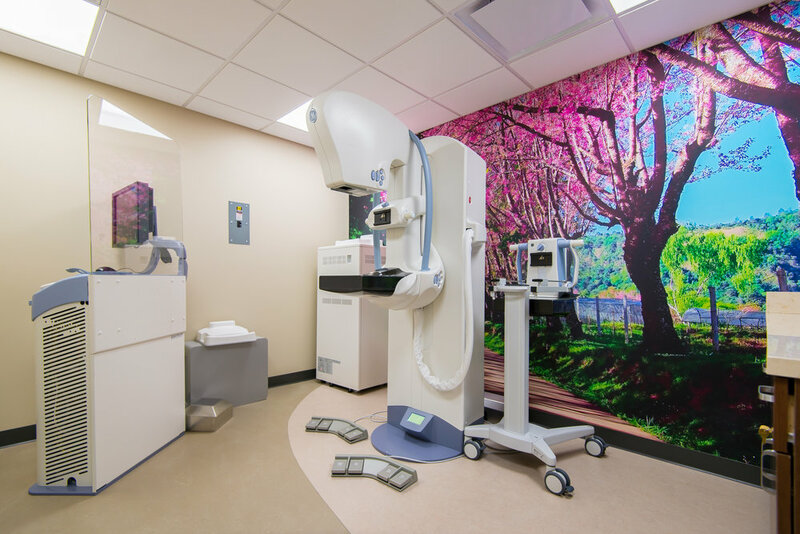 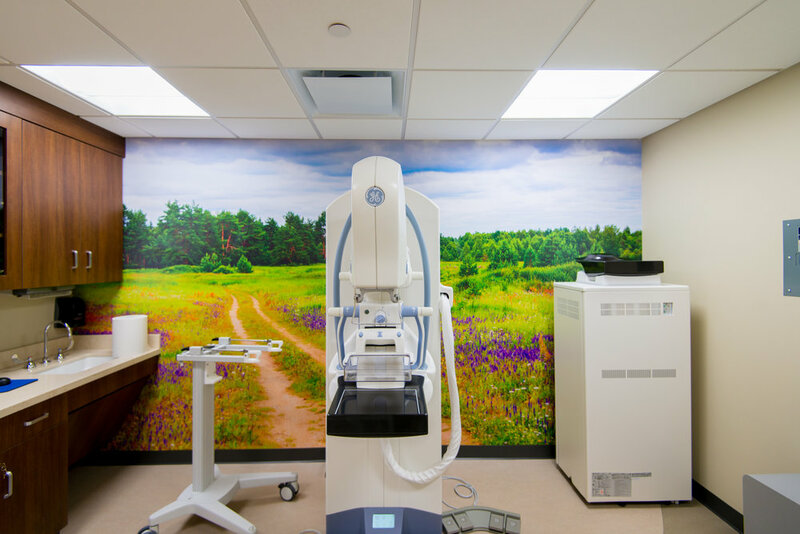 The Breast Center houses 3D mammography, digital mammography, breast ultrasound, ultrasound-guided fine need aspiration, core needle biopsy, stereotactic biopsy and bone density screening, and all required support spaces. 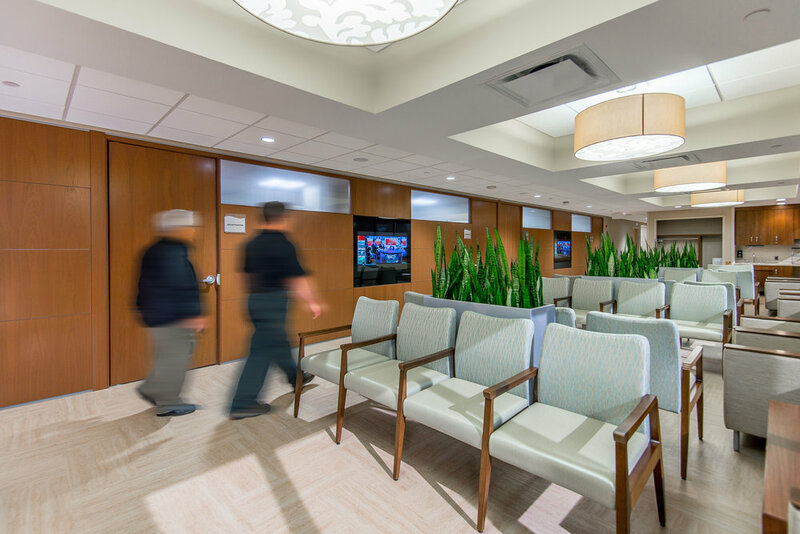 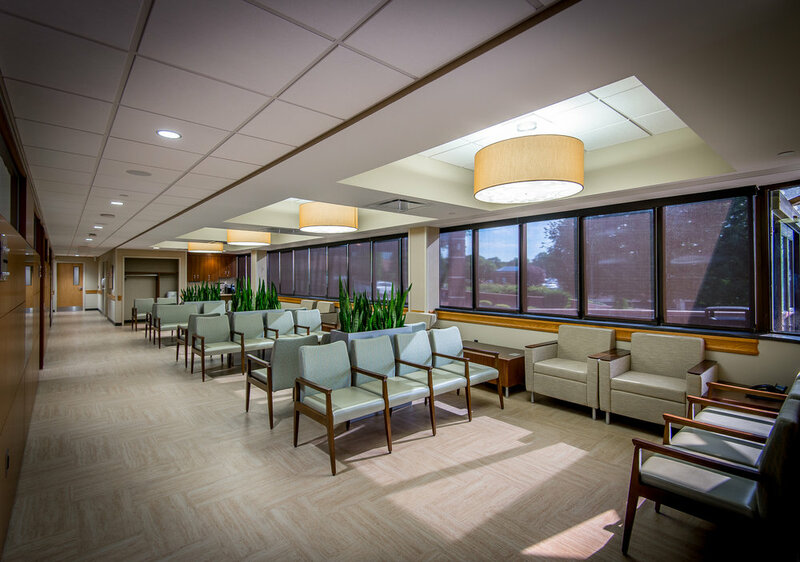 The design of the center separates sub-waiting areas for patients receiving annual screening visits from patients receiving a specific diagnostic or biopic procedure. 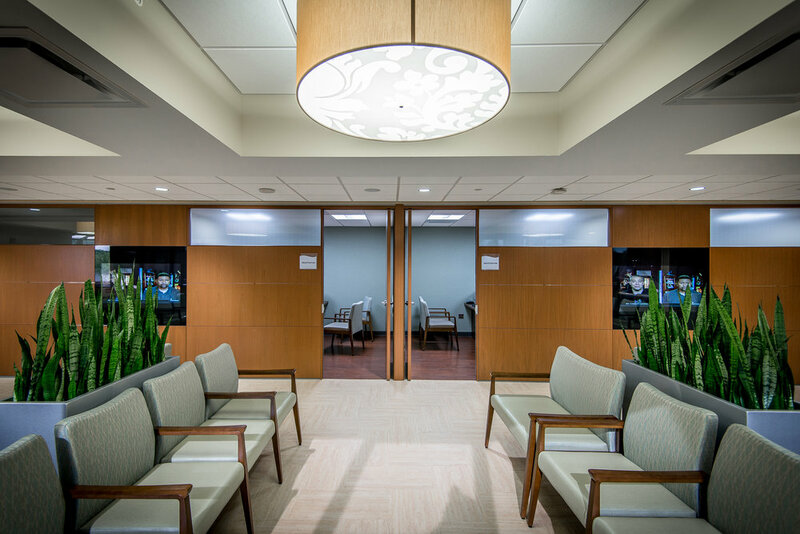 In addition to a longer procedure time, the latter group has the added stress of a potential cancer diagnosis. 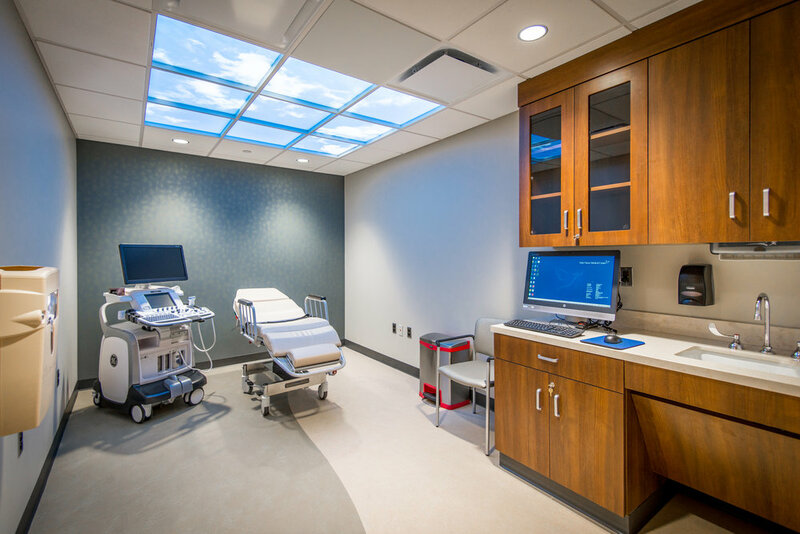 Holy Name Medical Center also stressed the importance of a high level and quality of finishes to provide a hospitality and a spa-like experience, rather than an institutional one. 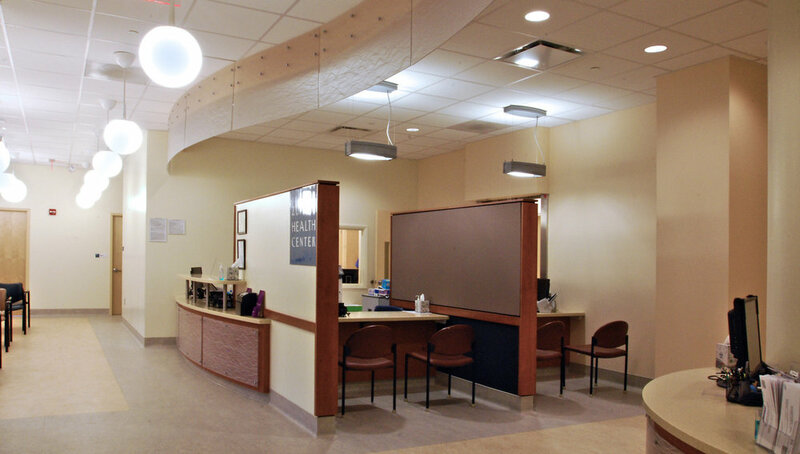 By providing separation of gowned/un-gowned patients and screening/diagnostic patients, throughput has increased which has decreased both actual and perceived waiting times. 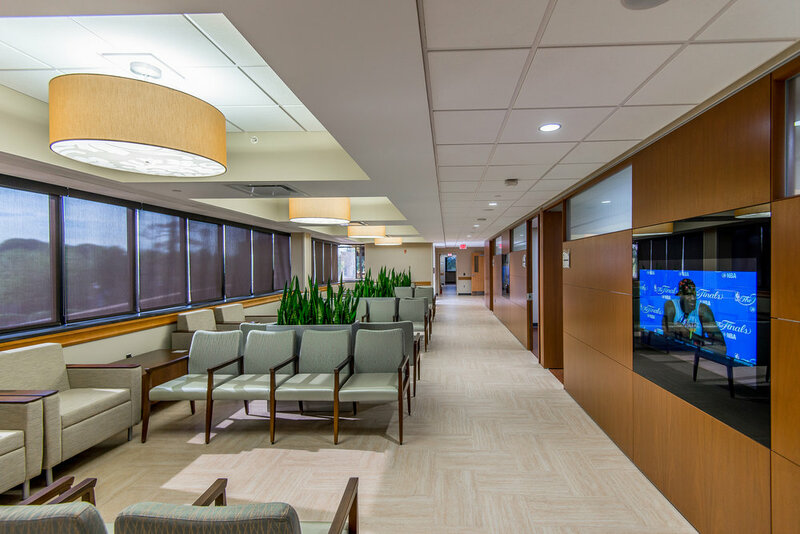 Research has shown that by incorporating the benefits of Biophilia, the innate connection between human beings and nature, into the built environment, we can reduce stress and anxiety, increase staff productivity, and increase recovery rates while improving physical and mental well-being. 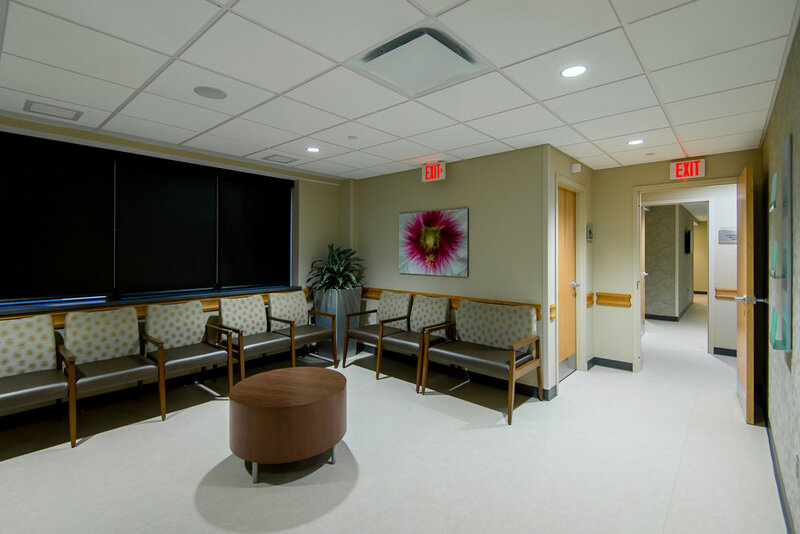 The introduction of luminous ceiling tiles mimicking the sky, full-length wall murals of natural images, and views to the outside are present in all of the treatment and waiting areas throughout the facility, thus reinforcing the importance of Biophilia design principles.